Apple is expanding cooperation with major players in many sectors, and Deloitte is the latest. For this who don’t know, Deloitte is a multinational professional services firm with the largest professional services network. Deloitte provides audit, tax, consulting, enterprise risk and financial advisory services with around 250,400 professionals globally. 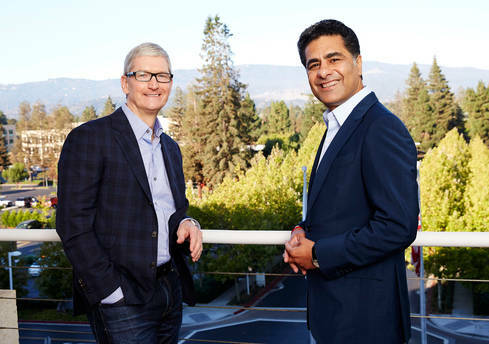 Apple and Deloitte has announced a partnership to help companies quickly and easily transform the way they work by maximizing the power, ease-of-use and security the iOS platform brings to the workplace through iPhone and iPad. As part of the joint effort, Deloitte is creating a first-of-its-kind Apple practice with over 5,000 strategic advisors who are solely focused on helping businesses change the way they work across their entire enterprise, from customer-facing functions such as retail, field services and recruiting, to R&D, inventory management and back-office systems.